If you are submitting an injury claim after a car accident, then the good thing is that most of the states will allow you to make a claim for your pain and sufferings. Well, of course judging the monetary value of the pain you suffered is not easy, and there are several aspects that affect such a claim. Usually, there are two types of pain, physical and mental. After a car accident, most people are suffering from both. You are recovering from your physical injury as well as trying to calm your mind and forget what happened. Law recognizes these pains as “general damages”. So far, there are no particular formulas set to determine the value of general damages. Any insurance company, which is handling your claim for pain and suffering, will consider one point - if you did not go to a doctor then you are not in pain. This means, if you are feeling any discomfort or pain and are planning to file a claim against it, then it is crucial that you visit a doctor. Next, most insurance companies believe that the injuries, which need more medical treatment and longer recovery time, involve more pain and suffering. Assumptions like these will help the insurance adjuster to value your pain and suffering. An insurance adjuster will place higher value on injuries, which are supported by medical reports. This means, when you are consulting a doctor, don’t forget to mention every small detail. Your doctor will put this in his report, and this report will give a clear idea about how much pain are you exactly suffering from. There are generally two methods in use, when it comes to calculating the value of pain and suffering. Special damages are those damages, which are easy to calculate. Usually, depending on your case, you can multiply that amount with 1.5 to 5. Now it is obvious that you would want to multiply the amount with a higher number, whereas the insurance company will want to multiply it will the lower one. 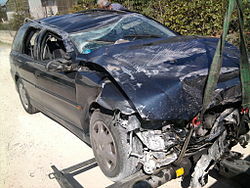 You can consult a car accident attorney to understand what factors help in determining the appropriate multiplier. In this approach, your per day income is multiplied with the number of days you took to recover. For instance, if you were off your work for say a 100 days with the daily wage of $100, then your settlement amount will be $10,000. This method seems simple, but it falls apart when long-term injuries are involved. Lastly, when you are planning to claim for your pains and sufferings after a car accident, it is wise that you consult a doctor and get yourself examined. Also, it is advisable to hire a lawyer who can help you file the claim properly.